Visitors can sleep to the sounds of the waves at South Beach Campground. This is a great alternate campground for visitors who could not get a spot at Kalaloch Campground. This site has restrooms, picnic tables, fire rings, but no running water and very little privacy. There is a small store near the Kalaloch site where campers can get water and other necessities. FIRST COME, FIRST SERVED. Where is South Beach Campground located? 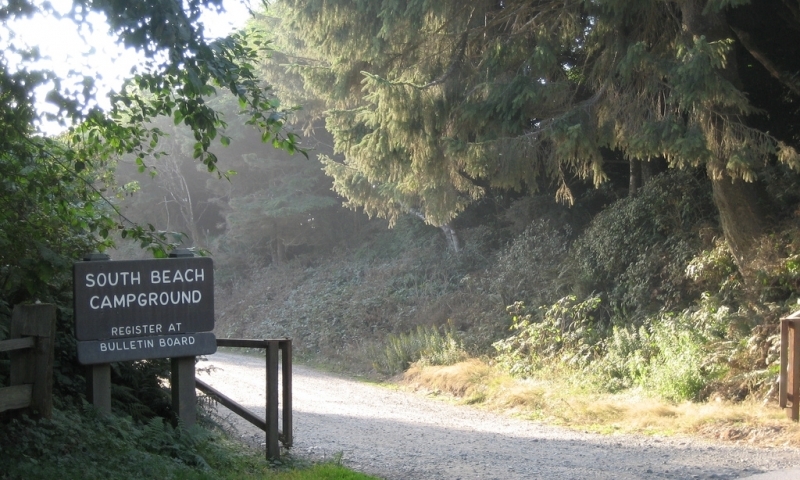 South Beach Campground is on Olympic Highway, WA-101. It is 38 miles south of Forks, WA, and 71 miles north of Aberdeen, WA. How can I reserve a site at South Beach Campground? Sites at South Beach Campground are first come, first serve; reservations cannot be made for this campground. Tell me more about South Beach Campground. Showers and Laundry: Park campgrounds do not have hook-ups or showers.